Home | RC Gregory & Co. Led by Rick Gregory, R.C. Gregory & Co. is a B2B marketing consulting firm that helps businesses improve the way they market and sell to other businesses . We have worked with nearly every type of B2B product and service, but specialize in technical and engineered products businesses with a strong life sciences focus. 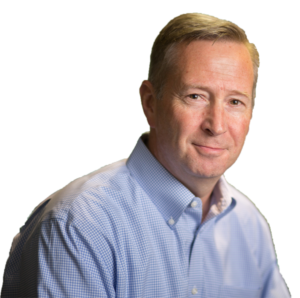 Rick Gregory is a seasoned strategic marketer who also offers unique versatility to handle a broad range of marketing executions. We help small to midsize firms with “fractional” management of the marketing function and other project based marketing work. We help address critical strategic questions with creatively designed and executed market studies, customer research and competitive intelligence. We help private equity, venture capital and strategic investors with pre-acquisition and pre-divestiture marketing due diligence studies. We tackle strategic planning and other critical marketing projects that don’t fit neatly into any one box. Every day, good companies suffer because they create financial value for customers but aren’t able to keep their fair share. This is because most marketers cannot clearly articulate the economic value customers get from their products and services. The solution is Dollarization. Learn More. 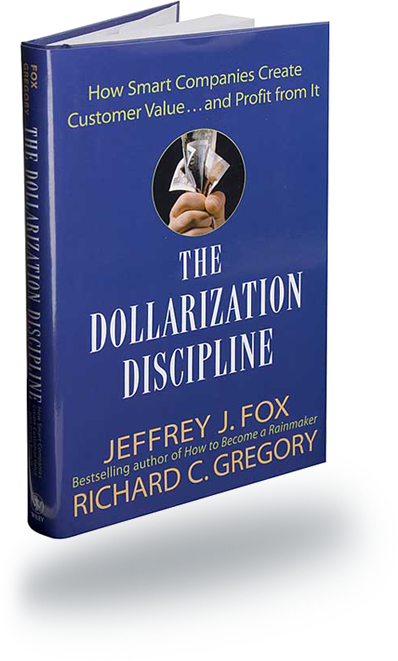 A Top 30 Business Book of 2005, THE DOLLARIZATION DISCIPLINE continues to attract readers with its intuitive and practical guidance for deploying Dollarization to address any any sales or marketing challenge. Equal parts education, exploration and application, a custom-tailored Dollarization Workshop led by Rick Gregory is a great way to introduce your team to key Dollarization concepts and to address how to best apply the principles to move your business forward. Effective deployment of Dollarization often requires custom selling tools such as ROI Calculators and expert training, coaching and support to successfully rollout such tools. If your company is populated by subject matter experts (SMEs), but lacks expertise in marketing, R.C. Gregory & Co. can help. We bring a marketing skillset that complements the technical knowledge that drives your business. Whether your expertise is in science, medicine, law, insurance, financial services, engineered products or any other specialty, we can help translate your story into compelling messaging that gets your customers and prospects to act. We can also share our years of experience working with hundreds of other companies so you can deploy marketing techniques that have been tested and proven elsewhere. Don’t feel like reading a website? Drop us a line and let’s talk.